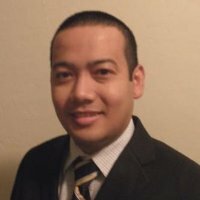 April 15, 2019 – Cypress, CA – Trident University International (Trident) faculty member Dr. Thanasak Ruankaew has published the paper, “Employee Theft Among College Students in the Workforce,” in Volume 12, Issue 4 of the journal International Business Research. Dr. Ruankaew is a professor in Trident’s Glenn R. Jones College of Business. Despite the fact that employee theft costs businesses billions of dollars annually, previous research did not focus on the demographics of those who commit this crime. With the increase of college students in the workforce in recent years, Dr. Ruankaew sought to explore any connection between this group and employee theft. Given that a majority of those surveyed indicated an involvement in at least one type of theft, this paper will be valuable for organizations who are seeking to understand the severity of these actions. Published monthly, International Business Research was started in 2008 to explore topics such as business, marketing, management, finance, economics, and accounting. It examines subject matter from both theoretical and applied perspectives. In addition to experience in higher education, Dr. Ruankaew has worked in the financial and manufacturing industries as a consultant and an analyst. His areas of expertise include inventory management, procurement, supply chain management, and operations. He received the Best Newcomer Award for his work with the University of Liverpool in 2013. Dr. Ruankaew holds a Ph.D. in Business Administration from Northcentral University, a Master of Business Administration from Kutztown University, and a Bachelor of Science in Business Management from West Chester University of Pennsylvania.